We all get angry, frustrated, disgusted, and a myriad of other things. I’m not talking about that. I’m talking about RAGE. Rage (often called fury or frenzy) is a feeling of intense, violent, or growing anger. to an external cue, such as an event that impacts negatively on the person. Someone might cut you off (infuriating), you might stub your toe (frustrating), or even over cook your ONLY batch of chocolate-chip cookies (pissed). If you become enraged over things like those, that might mean you need to do some yoga, step into some kind of ZEN day spa. Maybe some meditation is in order. Those aren’t the things I’m talking about. What COULD we become ENRAGED about? What should Reasonably make you angry? The untimely death of a loved one. Maybe a child, taken too soon. Someone breaking into your home. Having your most prized possessions stolen. Taken along with the feeling security you once had. Knowing you have been violated can really get you worked up! Leaving your banking envelope full of cash, at the teller window on the customers’ side…..AFTER you made your withdrawal. Once you realized the bank had been closed for 2 hours. It’s gone and you know it. 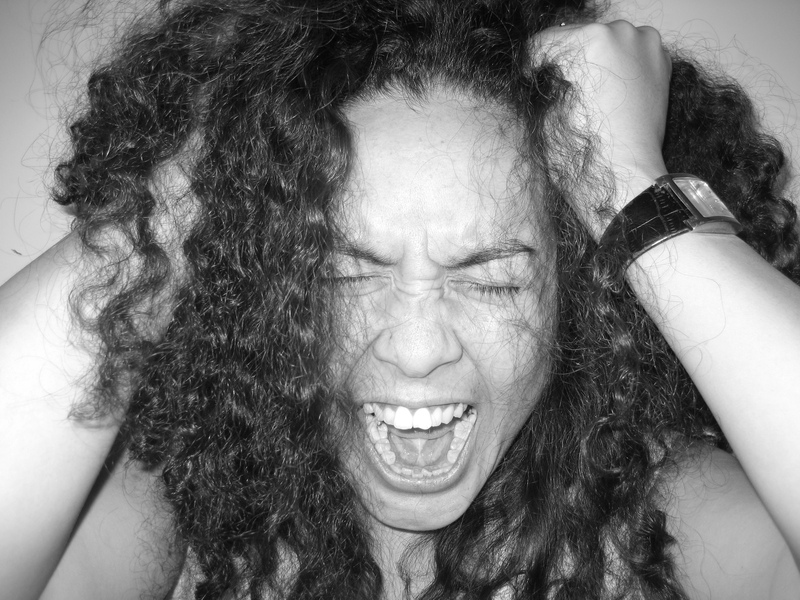 There are many things that can cause that feeling of RAGE to creep up in all of us. And that’s OK….In fact, it’s Reasonable. I’ve been struggling with something. Some time ago, I had a job. It was a side job, and not really “work” per se, but I loved it. I was coaching high school basketball. It seemed like my perspective on life, could naturally lend itself well to coaching the game of basketball. I believe there are a lot of parallels and great metaphors in the sport that can be modeled in other places in our lives. I loved coaching the kids, talking with parents, going into hostile environments with nothing but my players, hearing the booing fans and trying our best to come out with the victory. It helped build a sort of, resiliency, in the spirits of the players I’d coached. This was a time where I felt like I really had this ONE THING really figured out. When your knowledge level, experience, and drive all meet in one place for a night out, and it’s just magic…..that was it for me coaching the game of basketball. I’d been pretty successful as a high-school basketball coach. I’d coached at a school where basketball, and sports in general weren’t necessarily admired or noticed, for the lessons they taught, or inner-strength that could be realized by playing them. Each season, my boys wouldn’t allow us to lose more than 3 games EVER. The groups of kids varied, but their hearts were the same. Smart, Fearless, Fighters, just like me. During my final year coaching at this school, I hadn’t known that some of the coaches on my staff, were secretly planning a coup to have me removed as coach. They would fabricate events, and paint me as something totally opposite from the 5 – 6 years of track record I’d proven. The parents loved me, the students loved me, and I thought my boss loved me, but I was wrong about that. Maybe naive as well. Rage – There it is. I guess because I didn’t feel that it would ever happen. I’d worked so hard, the boys from all high-school grade levels were coming to Saturday basketball clinics. Clinics, that I’d been hosting for 5 years. They were in high-school yes, but they committed to me, basketball, and a journey for 6 days a week! They enjoyed what they learned during school, and also what they’d learn in practice. I’d been able to watch them all grow up. A few colleges and 1 LARGE University called to recruit a few of my players I’d developed for 5 years. This was an unheard occurrence for basketball at this school. I was excited to continue doing this work. Wasn’t that enough. It just didn’t seem right, it didn’t add up. RAGE – It sets in, it stews, it festers, it grows, it kills. I’d vowed never to enter the school, where I was hurt so badly again. As of this writing, I still haven’t. I coached a kid, who’s much younger brother I’d known since he was young, was now a senior in high school. On this night they were playing a rival school. I didn’t realize that my RAGE had prevented me from seeing any of his games. He’s a senior now, a very good player, and he’s off to college next year. I might not have another chance. I got a text from his older brother, telling me about his upcoming game. It was an away game, so felt like I could attend, and keep the RAGE-FILLED vow I’d pledged a few years earlier. I went, I’m glad I did. Great Game, they lost but I got to see him play. I knew him as a little boy, he’s almost a man now. That was just great, JUST GREAT. The one that had set all the wheels in motion to have me removed from my post as coach. All of those old feelings rushed back to me at once. It was like that immediate feeling you get when you stub your toe, trying to make your way to the bathroom at 2am in the dark. Well, almost all of the feelings. Somehow the feelings of confusion, frustration, wonder, and the questions I had didn’t come back. ONLY THE RAGE. These feelings are strong. If you’ve ever had them. They change you. You become less Reasonable, maybe Unreasonable. Try what I did next. If you ever find yourself confronted with all of your emotions at once but you can only name the emotion RAGE. Reasonably, the best thing to do is, talk it out. I called my wife when I left the game. I’d told her what had happened. She told me she was sad. That was interesting. She was sad that was sad and still hurting from what had happened. I quickly refuted that statement. Her assertion that I was sad and hurting was just wrong, I was just feeling the RAGE. She told me she’s most sad that all these years later, I’m still allowing what someone else did TO me, still affects me so much now. It had been 3 years, since the incident. Rage is BLINDING – you see nothing else, not even the good. Rage is YOUR EGO – it’s all about you, right. Rage is BEAUTIFUL – which is why you cannot look away. Time does not heal all wounds. It’s unreasonable to think so, but you have to remove the mask from the rage. I looked at myself. It was Unreasonable to hold this for so long, at least this heavily. I know it altered the future, my future, and I wanted to focus on that fact. There were many kids hurt, and there were many future kids that would come up through the ranks at that school that would not get to experience what I had to offer. Rage is – Unreasonable and leads you to Misinterpretations….. Sad that, I couldn’t continue what I’d started. Sad that, humanity was so ugly, and I was left in its hideous wake. Sad that, I felt like I’d failed. Even though I hadn’t. Sad that I felt like for the first few basketball seasons afterwards, I was SUPPOSED to be doing something. But, I just wasn’t. I limited myself, because of how Unreasonable I became when dealing with my Rage. I let it linger, fester, grown, then kill. I, I, I, and a bit of ME. I was able to coach my son. What fun! I was able to spend more time at home. A welcomed relief. I am able to start a blog. Subscribe Here! I’m able to walk my dog without the “need” to get to practice. Oh Knuckles! I’m able to spend more time with my wife, that opened my eyes. If you have some Rage, give it it’s time. Give it respect. Then, call it what it is, because it’s not Rage. Call it sadness, pain, unhappiness, vulnerability, fear, emptiness, resentment, disgust, anxiety, the FOMO (fear of missing out). Don’t be selfish like I was. Don’t only think about yourself. Don’t become your own worst enemy. After all, you’ve clearly established there are people in this world that do mean you harm. Those that do not wish you well. You might be standing in their way, and you’d never know it. Don’t add to that side. Do not allow your swirling emotions, turn into something unrecognizable, so much so that you can only call it RAGE. That’s nothing in the end. That is only unhealthy, and damaging. I chose Rage and not being Reasonable. Let me know HOW you’ve renamed your Rage in the comments below. I’d love to hear it. Next story Women are Banks! Previous story Don’t Marry Her Yet…ASK THIS QUESTION FIRST!